Not too bad after all. Sigh...there is always next week to try again! 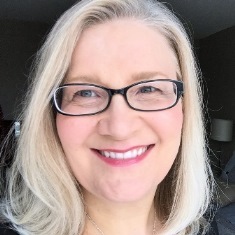 But there is a long weekend ahead and I am looking forward to heading out for supper for Valentines Day and doing something fun on Monday, which is the Family Day holiday here in Alberta. 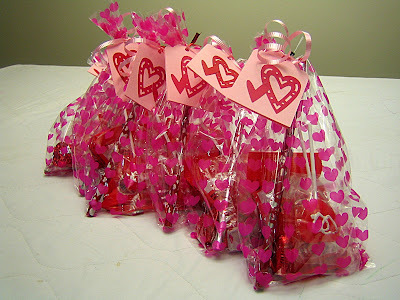 Here are the Valentine treat bags and heart tags we made for Grayson's dayhome friends. 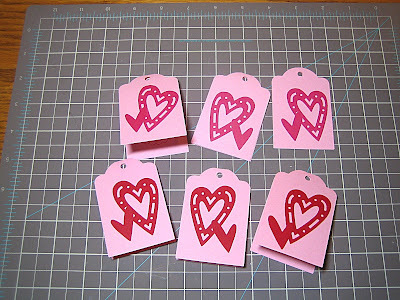 First I punched out several double tags with my CM Tag Maker. 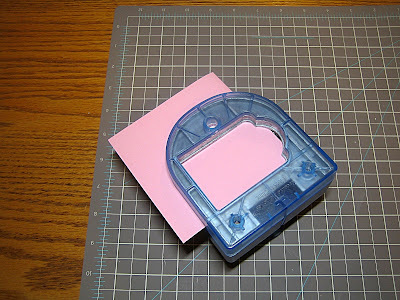 I placed the folded edge of the pink paper just inside the cutting edge of the punch so I would get a folded, "double" tag. 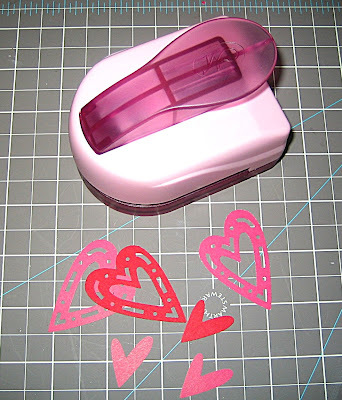 Then I punched several hearts using CM's new Sweet Heart Maker. The nice thing is you get two hearts with one punch...the lacy, large outer heart and the funky, smaller, solid heart. I adhered them onto the outside of the tags/cards with a little liquid adhesive. 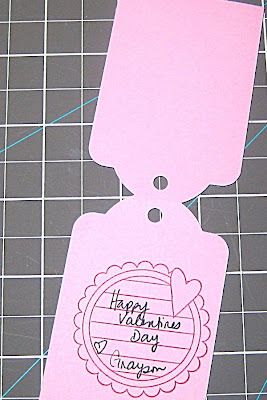 Then I used a cute Valentine stamp from Kolette Hall (Michael's) on the inside and wrote our little message. Then we popped all the treats into little heart bags we found at the dollar store and tied on our tags. 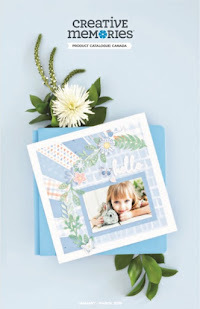 Cute, easy, cheap. 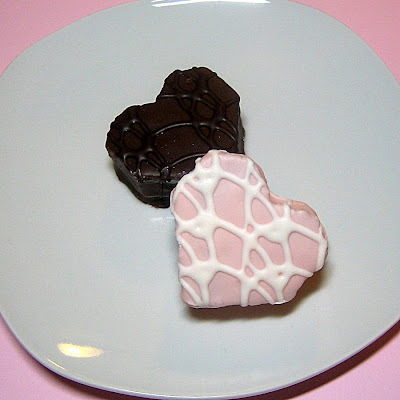 Next up - I love these Little Debbie "Be My Valentine" cakes. They look like fancy little petit four cakes eh? But they are in the snack cake aisle along with the Twinkies! Shhh...dont' tell anyone and they'll think you are a baking genius. 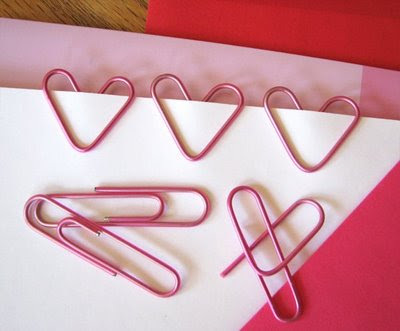 And finally, have a look at these adorable little heart paper clips. They are regular clips, but it's all in the way you bend them. Check out how to make them here. Brilliant! Hope that gives you a few heartfelt ideas just in time for V-Day! Hope you have a great one! I had to come check out your blog!! Especially after you got me started on mine today. We'll see how it goes. I'm sure it will be a journey. Thanks again!!! I love the to-do lists. I have almost given up on mine since the first of the year. I was doing pretty good when I was home with my son, but then Jan. 5th I went back full time when he was 4 months old. I have no time for anything. Aggghhh I'm sure I'll figure it out soon.